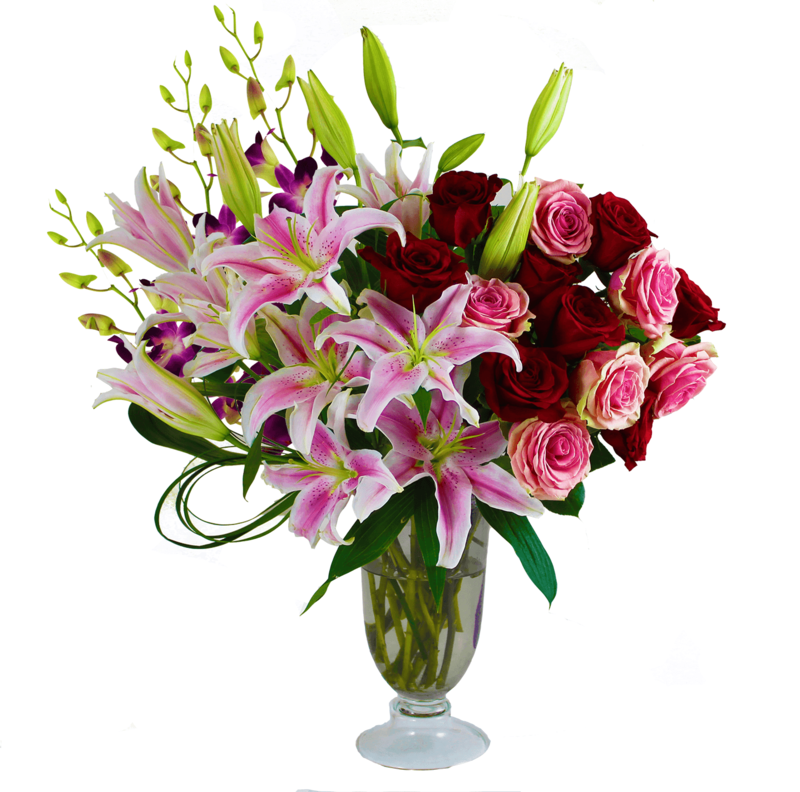 Roses and lilies come together in a one-sided display opulence. This arrangement is just the thing to send when run-of-the-mill bouquets wont cut it. Romantic shades of red and pink are accented with a pop of purple dendrobium orchids in this floral masterpiece. Impress your recipient and create a memory that will last for years to come.